You cannot help but be mesmerised to the skies from March to September. For many, that is simply longing for the sun to break through the cloud but for others, it is the chance of seeing the Ospreys pass above as they search from height for their next prey. 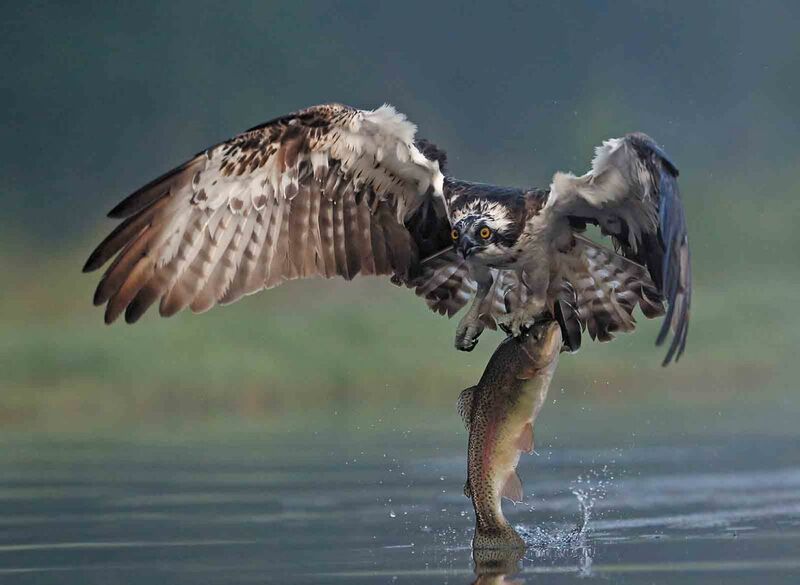 Many more of us will now be familiar with Ospreys after the recent BBC series, “Highlands: Scotland’s Wild Heart” reached our TV screens over the last few weeks. The mind-blowing clip of the osprey with its talons out heading with serious intent into the water in search of its next meal was filmed at our dedicated osprey pond on Rothiemurchus. The clip went viral having now been viewed over 15 million times! A film crew from Maramedia, who were filming for BBC, spent about 5 days trying to capture the footage that ended up on our TV screens at home. 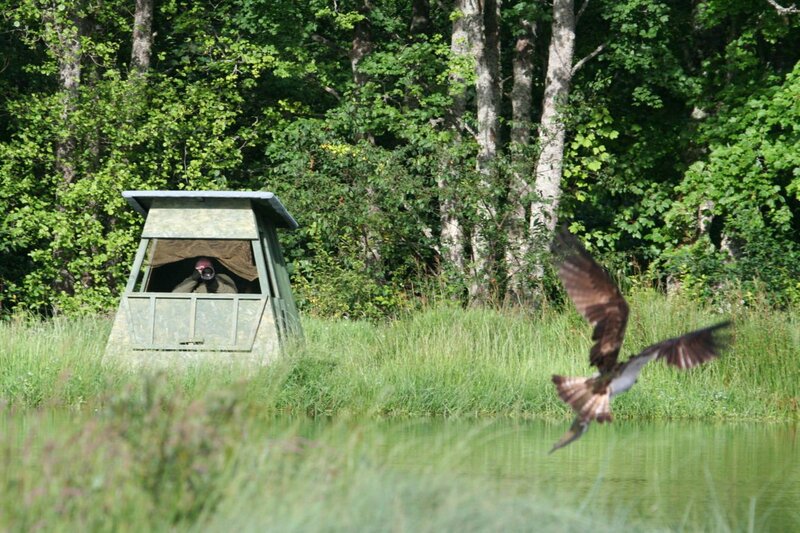 Sitting in hides set at low level against the bank of the pond, a camera crew waited patiently for one of our guides to contact them through the radio to tell them there was an osprey overhead looking interested in fishing.